To create a stable ASIC and FPGA resistant solution; cryptocurrencies these days are developing and implementing a new hashing algorithm. Either they are developing one from scratch or they are modifying an existing Proof of Work algorithm. Most of these new PoW algorithms are focused only on GPU miners. So if you got a GPU mining rig and if your current mining results are dull then you may need to check out some new PoW algorithms. You might have heard about X22i – SUQA mining and X18 (Minato). Now here is two more that we’d like to point out and they are Dedal and Pipe. 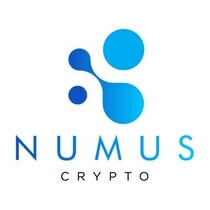 Numus is not a new cryptocurrency. It was launched back in December 2017 and it is a hybrid PoW / PoS coin which was using Skein hashing algorithm. 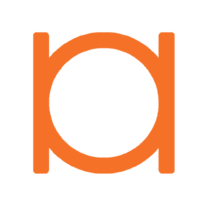 Since Skein was affected by ASICs; this project have developed and come up with a new exclusive PoW algorithm called Dedal. Dedal is designed to resist powerful ASIC machines and to provide a stable mining solution to GPU miners. The idea behind this algorithm is similar to x16r and x16s where every block is hashed by different algorithms in a random order. While this algorithm might seem interesting the project is less active and it looks like another masternode coin. So be cautious and do a thorough research before mining Numus. 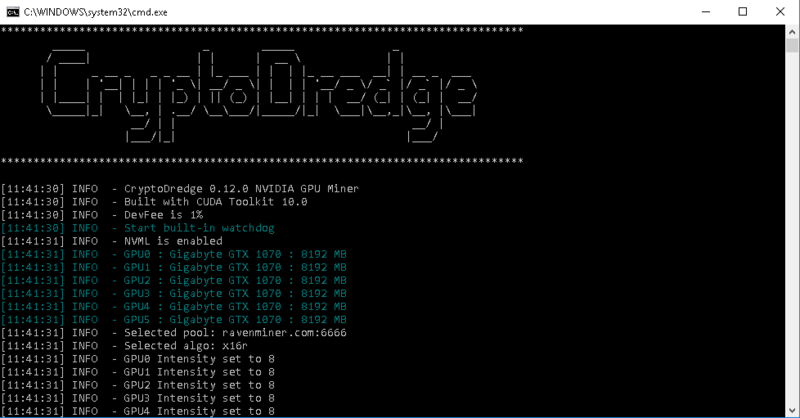 To mine Dedal using NVIDIA you can use the latest T-Rex 0.8.2 and CryptoDredge 0.12.0. 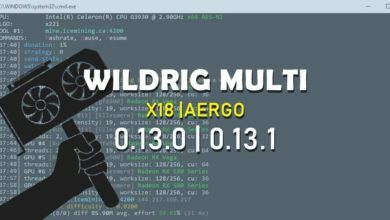 For AMD you can use WildRig Multi 0.13.3. Pipe algorithm is new to crypto space which was introduced by a brand new coin called UOU – A peer to peer instant messaging application. Currently the website is offline and there is not much information about the algorithm. However the network hashrate seems promising and the popular NVIDIA GPU miner CryptoDredge have also added support to this algorithm. Note: There are enough dead projects in crypto space already and we do not recommend any of these new projects. 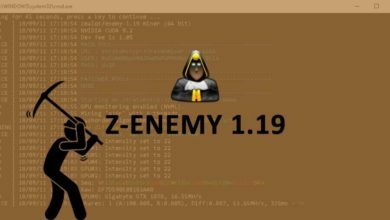 Since because the popular mining software’s are adding support to these algorithms we thought of bringing it to your attention. It is highly advised that you research completely before mining these coins. The popular NVIDIA GPU miner T-Rex have released a new version; T-Rex 0.8.2 which features Dedal PoW algorithm. In addition to this T-Rex 0.8.2 has improved performance on X22i algorithm and also fixed Skunk performance issue. On X22i you can expect 1% to 3% performance increase compared to previous release. So if you are mining X22i, Skunk or looking forward to try the new algorithm (Dedal) then you can use T-Rex version 0.8.2. 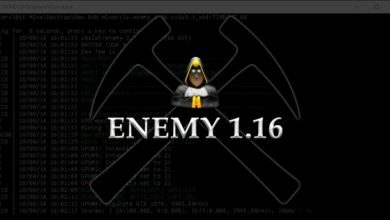 This miner is available for Windows, Linux and it even has got CUDA 10 support. However before downloading we’d like to remind you that this miner is only available as a closed source software and it includes a development fee of 1%. Followed by T-Rex support to Dedal algorithm; CryptoDredge have also release a new version. 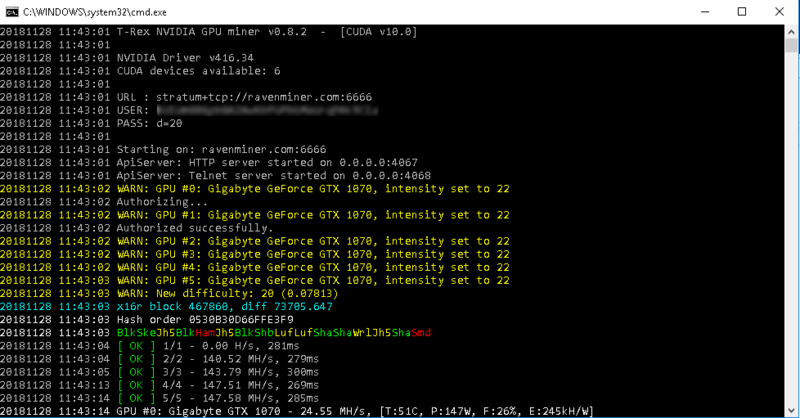 This is an optimized NVIDIA only mining software which has support for a number of mining algorithms. It even added X16R / X16S algos recently and now the latest released version CryptoDredge 0.12.0 features two more algorithms namely Dedal and Pipe. There is no mention on performance improvements on any of its previously supported algorithms however this is still worth the upgrade. 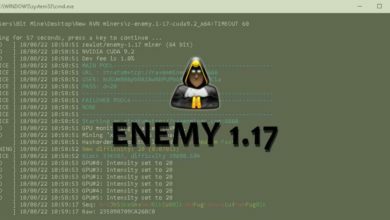 Just like how NVIDIA users got Enemy, T-Rex and CryptoDredge; AMD miners have WildRig Multi. This is the only mining software for AMD that has support for multiple algorithms. The developer keeps improving the software, optimizing performance, adding new functionalities and algorithms to the miner. The latest release WildRig Multi 0.13.3 has added Dedal algorithm to the list but do note that this is just a preview release. Anyways if you got AMD mining rigs and would like to try the following algorithms then you can use WildRig Multi 0.13.3. Hex (XDNA mining), HMQ1725, Sonoa, X16r(Ravencoin mining), X16s (Pigeoncoin), X17, X18 and X22i. Wildrig Multi 0.13.3 is also available for Windows, Linux and Hive OS. But is only available a closed source binary with a build-in fee of 2%.